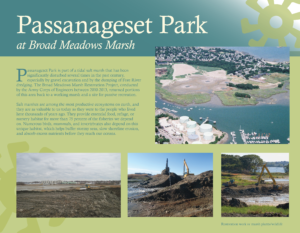 Four interpretive signs are installed at Passanageset Park at Broad Meadows Marsh in Quincy, MA. 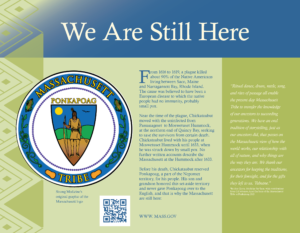 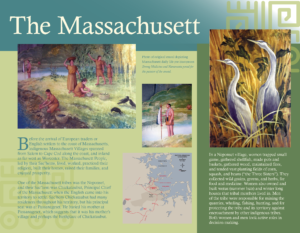 The signs, co-written by members of the Massachusett Tribe and the “History Girls” of Broad Meadows Middle School, with support from the Quincy Historical Society and the City’s Parks and Recreation Department, inform visitors about the site’s history, the Massachusett Tribe, and the restoration work done to the site to return it to a healthy marsh and an open space for the public to enjoy. 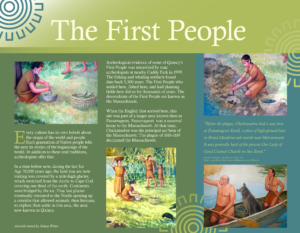 To see the signs in better detail click here!